When I went to Ise, I had a little time on my hands as I didn’t have many big plans. My only plan was to go to the shrine, get a stamp, and drink a lot of beer. 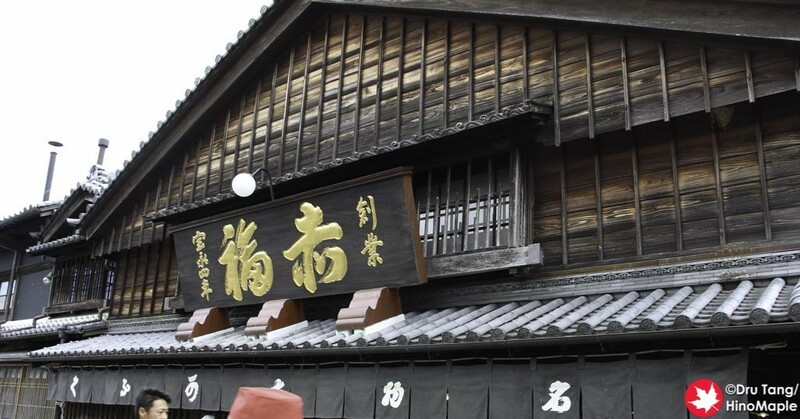 I felt a little strange to be drinking at 11am, so I decided to go to the Akakfuku Honten, the main shop. Akafuku, as I have written in the past, is a great shop that sells inverted daifuku dessert. When I went to the main shop, I was a little confused as to how to do things as many things were written in Japanese and I am often illiterate in Japanese. The signs didn’t make a lot of sense and I didn’t understand the system very well, but after experiencing the shop I can understand it clearly. The first step is to go to the cash register, a little inside the shop. There are two lines, one to buy Akafuku as a gift and one to eat inside. 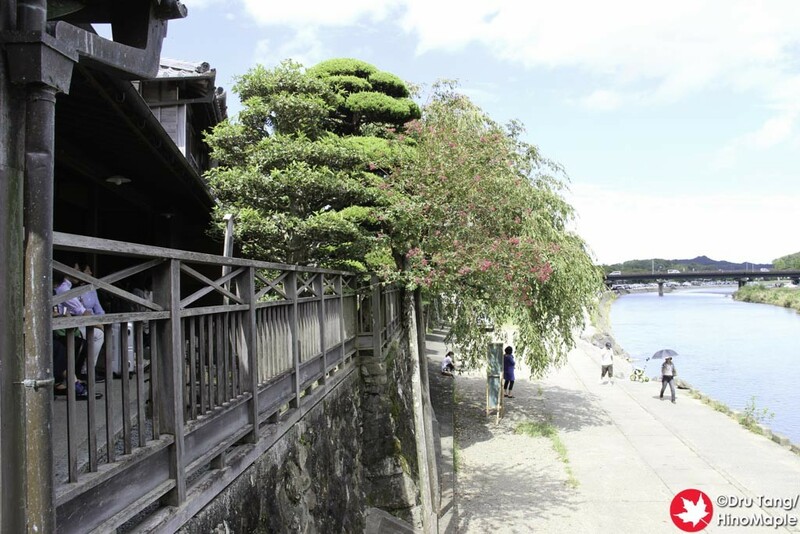 The longer line is usually to buy boxes of Akafuku, but if you head to the “line” on the right you can head inside. Once you get inside, you go to the cashier and order your Akafuku. You basically get 3 of them to eat and a cup of hot tea for 290 yen. The tea is actually free. After that you are given a small piece of paper to say you bought everything and a number to say which order is yours. It actually comes out at about the same time you go in, unless you are in a big group. Once you pay, you head inside and choose where to sit. 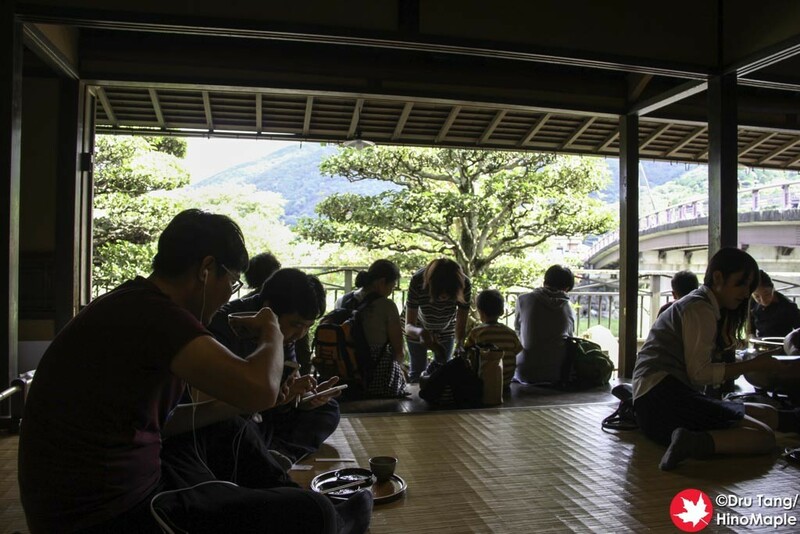 There is a raised tatami area and most people sit at the perimeter so that they don’t have to take off their shoes. I headed in to the back corner so I didn’t have to worry about anything and just relax. It was a nice place but I did wish I had a better view of the river. 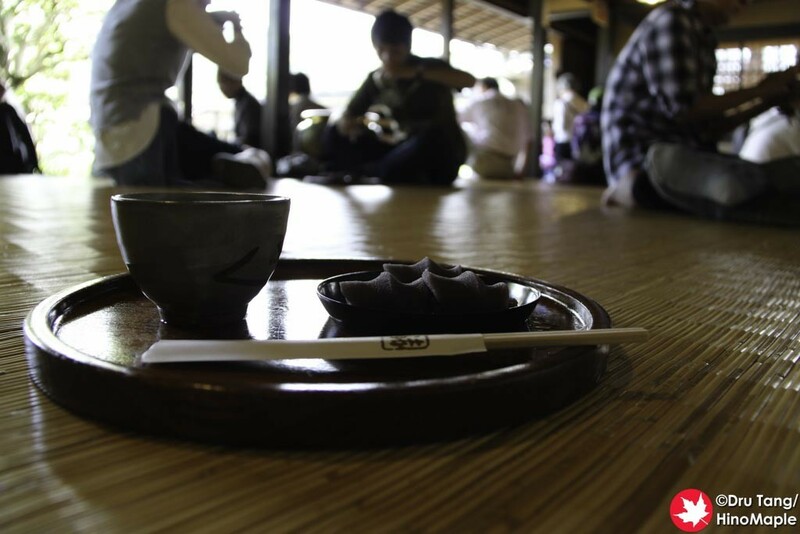 There is no rush to eat and go and you can just relax on the tatami, or take a nap as a few people did. Most people just ate and ran, but I took my time. From time to time they do come around to top up your tea if you’d like, but once you are finished you can leave your things there and exit next to the river. You can bring your tray back to the front if you’d like but most of the time you don’t have to. 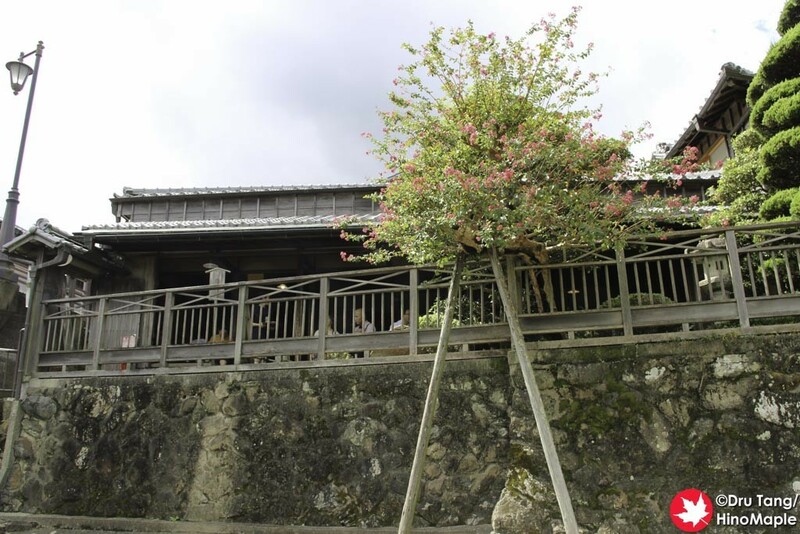 Akafuku Honten is a great place and I really enjoyed it. It could be better if there were less people, but you can’t expect there to be less people for such a popular and famous place. You take what you can get and I still have a good time there. 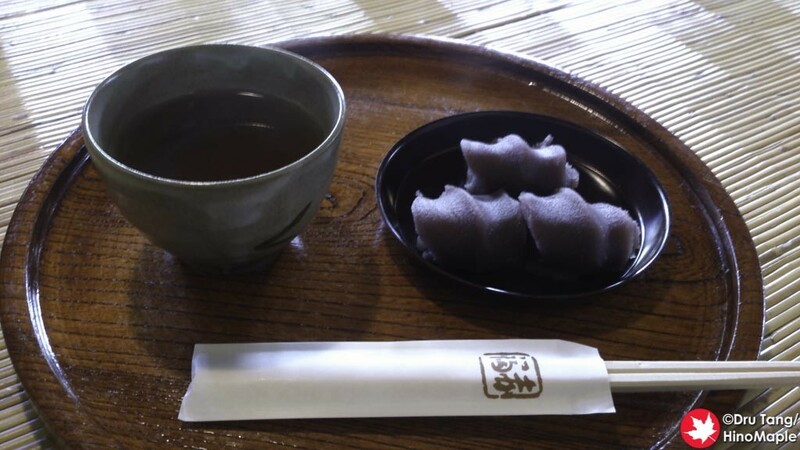 This entry was posted in Chubu Food and tagged Akafuku, Akafuku Honten, Daifuku, Ise, Ise Naiku, Isuzu River, japan, Mie, tea by Dru. Bookmark the permalink.